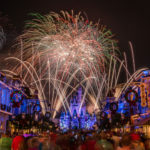 Continuing the 12 Days of Disney Parks Christmas, today the Disney Parks Blog revealed new concept art and details for the transformation taking place at Disney’s Caribbean Beach Resort. 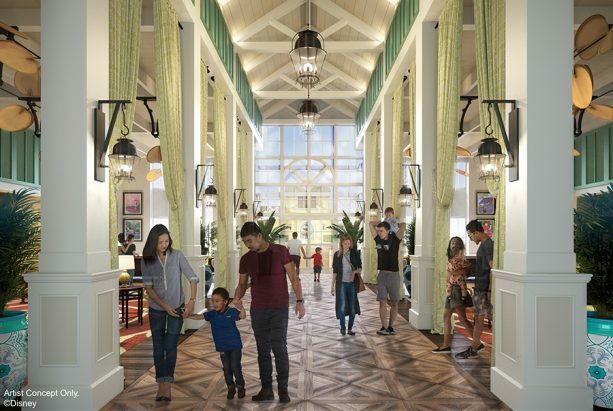 Old Port Royale at Disney’s Caribbean Beach Resort will be reimagined as the port of entry where guests will check in before embarking on their island vacation. 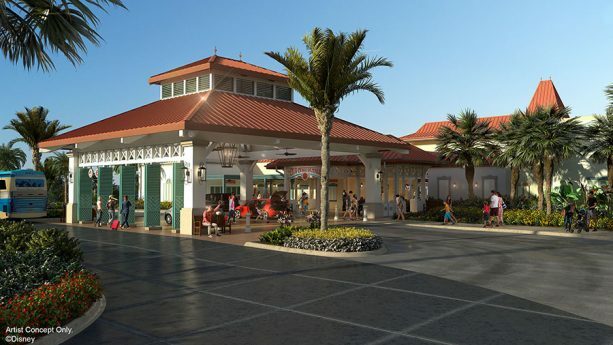 This centralized location will offer resort guests more convenient access to services, amenities and dining, including an all-new Centertown Market for casual eats, an all-new Shutters restaurant offering waterfront dining adjacent to the new Banana Cabana outdoor bar and lounge, and Calypso Trading Post for shopping. 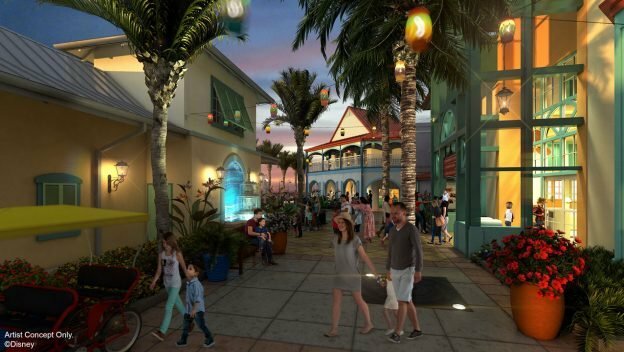 Centertown Market will be expanded and enclosed, creating a quick-service restaurant with an indoor street market vibe. Guests will enter the space under a large palapa-like structure, accented with glowing colored light pendants made from glass bottles. 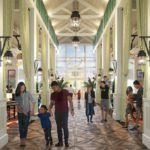 The market will feature open shutters, wooden light posts, awnings, ornamentation and unique seating areas. 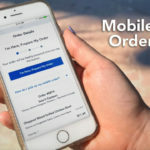 Guests will also have access to the Grab n’ Go market for a specialty coffee and quick bites. 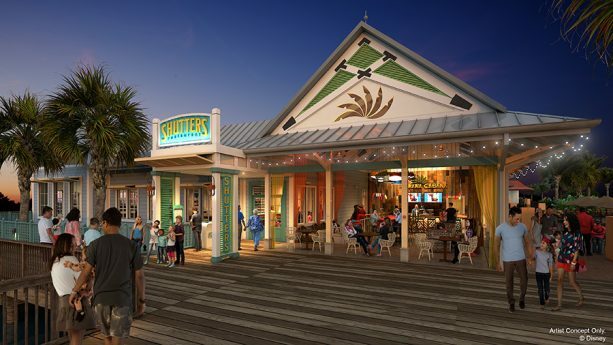 Shutters, a Caribbean-inspired table-service restaurant, will be located on the waterfront of Old Port Royale, transporting guests to a beachfront home in the tropical islands. Large open shutters will allow the sun to cast a warm light into the space adorned with handmade items that appear as they’ve been found on the islands. Leaves and floral design motifs will fill the space, celebrating the natural beauty of the Caribbean. A festive poolside bar, Banana Cabana will be a great place to gather for food and drinks, immersing guests into the fun and relaxation of island life. Cabana-style drapes will flank seating areas and re-purposed steel drums will illuminate a central communal table made from a wooden boat. 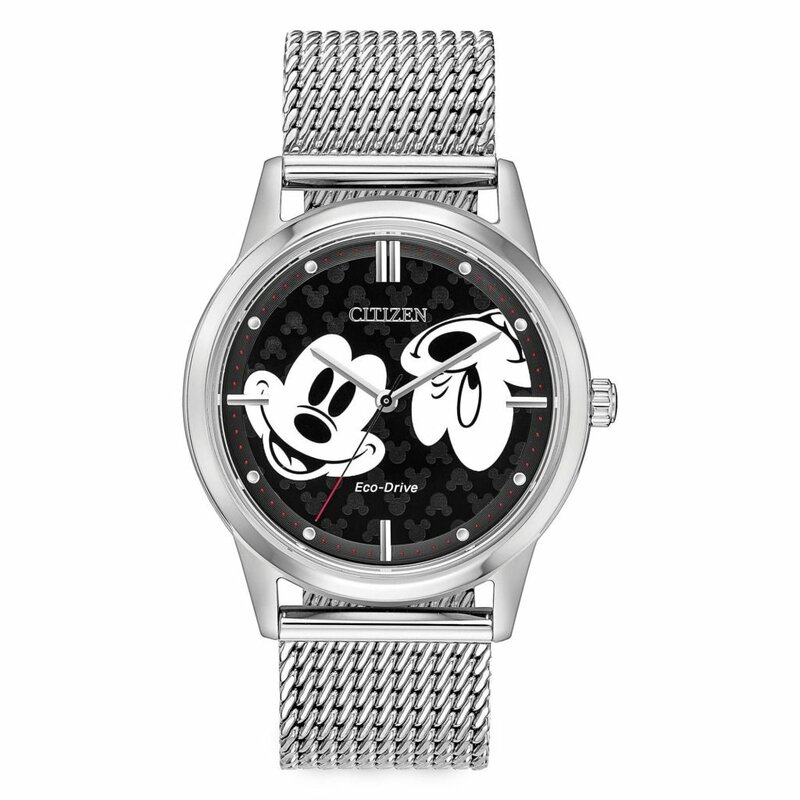 Stay tuned as Disney releases more news during the 12 Days of Disney Parks Christmas.